Ashley serves as tSB’s Executive Director. Though she’s been in Seattle all of her life, she didn’t find home until she found tSB. She started here in 2006 as the administrative assistant and has since served as the in-house chef and Director of Development, and can’t wait to let the community lead her as ED. Ashley enjoys kickin’ it with the kids, falling down mountains, throwin’ down for social change and rockin’ the karaoke mic any time she gets the chance. Mike was born and raised in Dayton, OH, along with his grandpappy and his grandpappy’s grandpappy. Before tSB, the nearest he’d come to the slopes was jumping on intertubes hauled behind pickup trucks across bumpy fields. Mike writes music, sings, and plays banjo and guitar, as well as performing dance in Seattle. From Southern Appalachia to the Bay Area, and the Midwest to the Northwest, Mike has spent the past decade creatively working with young folks to rebuild community and build collective knowledge. He got his MSW at UW. Vanessa is a born and bred Seattleite. Over ten years ago she took her first yoga class with tSB and since then has been madly in love with the beauty that is the tSB fam. In 2006 Vanessa graduated from bookkeeping volunteer to Master of Money and the books have been bangin ever since. Outside of tSB Vanessa can be found bookkeeping at awesome organizations all over Seattle, catching up on celebrity gossip, or plotting travel adventures. 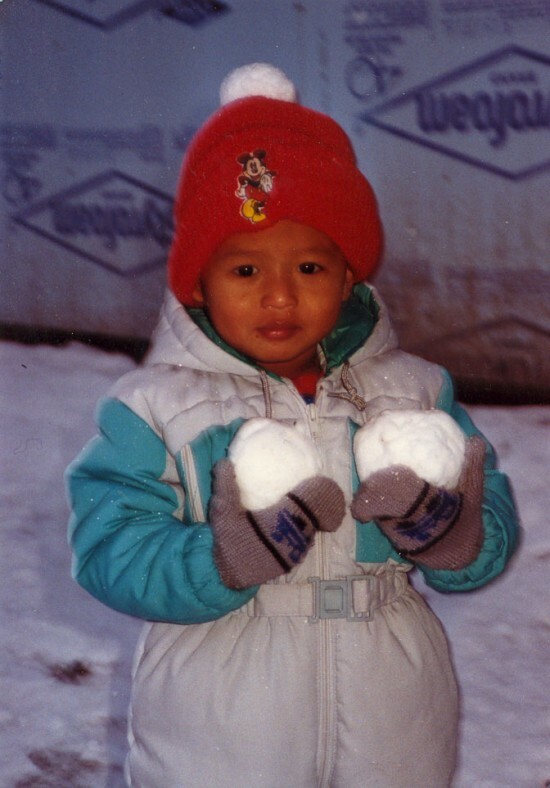 TSBaby Matthew was TSBorn in TSBangkok, Thailand, TSBut was adopted at the age of two and spent his youth TSBouncing TSBetween the north woods of Wisconsin and the TSBig Island of Hawaii. Matthew attended the University of Wisconsin Madison (which TSBy the way is the true U Dub) majoring in English and Environmental Policy, but forgot to graduate and is now looking to transfer to a smaller liberal arts school anywhere but the Midwest. Matthew loves literature (especially postcolonial, magical realism), red pandas, rice with soy sauce and lemon, writing and shaving his legs. TSBesides these passions, Matthew loves to defy gender norms TSBecause they try to TSBox people in and that is a TSBoo! I am working for TSB as an intern through the University of Washington’s Master’s of social work program. I am originally from Flint, Michigan and moved to Seattle in 2006. For the last three years, up until recently, I have been working at a private school with special needs youth. What originally drew me to the TSB program was how progressive and open the program is in allowing teens to be themselves, as well as how it gives youth the opportunity to learn through practical, real-life community service. As a social work student, I am interested in studying how the working-class/poor and the middle/upper class communicate and perceive each other. I am also interested in further exploring the views that these groups hold on government and other institutional dynamics. Some of my hobbies are cooking, making music, and gardening. My name is Michael Tate, and I am currently in 11th grade at Franklin High School. I was a prophet two years ago in the South End Program and this year I am returning as an intern. Why am I back? I love being apart of TSB community and that’s why I’M BACK!. TSB has an open and safe environment for youth and mentors to grow and meet their personal goals together. My goals for this year are to work toward going to college. I have my sights set on The Massachusetts Institute of Technology where I hope to be accepted into their architecture and engineering program. How am I going to get there? Get good grades, be apart of diverse programs like TSB, and show everyone my charming personality and warm smile.